· Creation and Direction of the Indoor Launch Celebrations for Sunderland Aquatic Centre, April 2008. · Creation, Direction and Management of the Outdoor Spectacular Event for the public launch of Sunderland Aquatic Centre, April 2008. · Co-commission, with ArtsAgenda, by NGI/culture10 to produce two large scale site-specific outdoor performance installations entitled Enchanted Parks, as the main performance element of the Newcastle-Gateshead Winter Festival in December 2007. 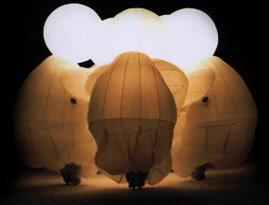 · Consultancy for Brighton Festival to examine the outdoor and site specific programme with a view to future developments and new ambitions, April 2007. · Event Management of Regional Briefings for Arts Council England South East, April & May 2007. Robin Morley was a founding director of ZAP Productions, Brighton in 1989 and UZ Events, Glasgow in 1994. He also is an arts consultant advising on organisational development, fundraising, and programme development and has acted as a policy and programme advisor to the Arts Council England, National Office on Street Arts, Carnival and Circus development. Jon Linstrum is a former Producer for Made In Brighton Ltd and is currently producer for Caravan: Assembly, an international platform for SE England performance companies; Head of Production for Winchester Hat Fair; Production & Safety Advisor for Norfolk & Norwich Festival; Production Consultant & Safety Advisor for Derby Feste; and Production Consultant for Wildworks Theatre Co.